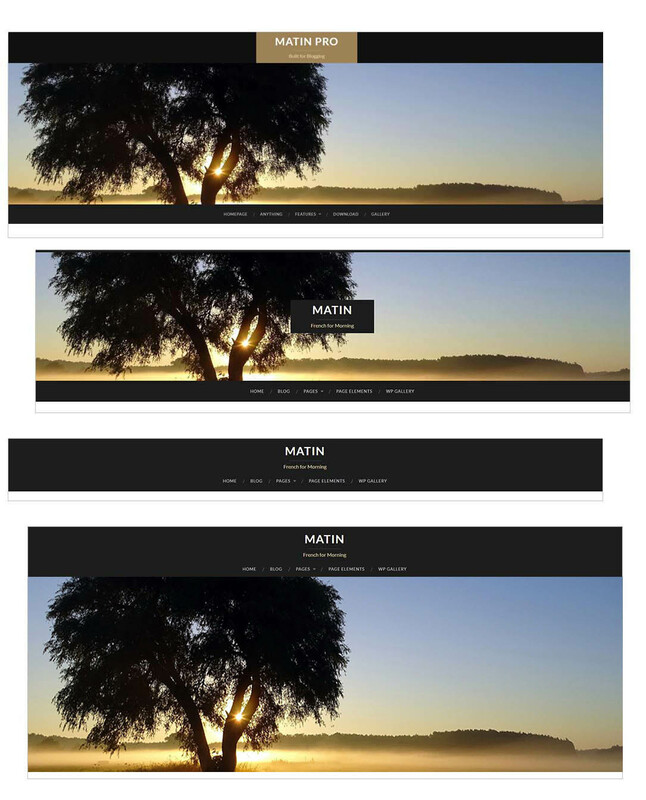 Matin includes 4 different header styles. By default, it begins with the third option where the logo box sits at the top on a coloured background…using the WordPress Custom Header feature. You can have the custom header show on all pages or just the front page. Likewise, you can remove it and have a basic header, or add a banner image below the header to emphasize it more.